Alexandria Greenwood loves being an entrepreneur and a self-proclaimed fashion connoisseur. What she loves even more, other than being a mother, is helping other women reach their entrepreneurial and financial goals. 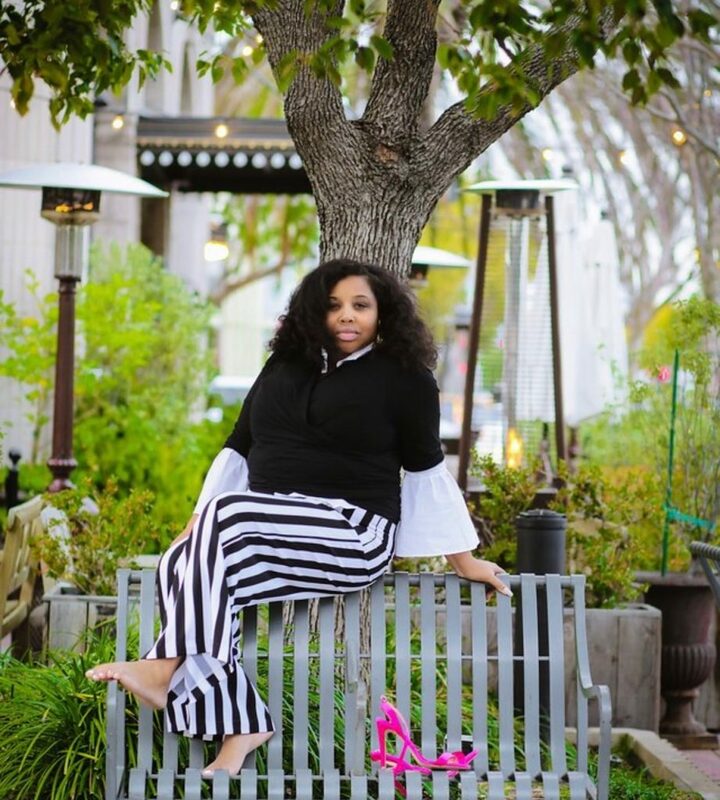 Alexandria is the founder and owner of Intuition.LA, a chic and fashion forward boutique that features clothing and accessories for women, as well as its own candle. Alexandria uses her business to help women build and sustain multiple revenue streams. She allows women to use her stores, both in the Las Vegas Fashion Show Mall and the South Bay Galleria Mall at Redondo Beach, CA, as pop up shops. She is also teaching other business owners to create their own candle lines. As if that wasn’t enough, 10 percent of every sale from all stores goes toward the Women Who Use Their Intuition grant program to help women entrepreneurs and business owners fund their ventures. CEOMOM caught up with Alexandria in the middle of her Las Vegas store opening to discuss the future of Intuition.LA and why she strives to help women entrepreneurs build their empires. I am a single mom and a fashion connoisseur. I love fashion and have my whole life. That’s why I went to fashion college. I am also an entrepreneur. Intuition.LA is my third business and it is the one that has gone the furthest. I had a jewelry line, Frosty Twinkets, that got picked up by a store called Intuition. They were the first people to buy my products. I would always remember when I got down on myself that Intuition chose me. When I was opening my own store, I wanted to name it “Intuition”. I looked up the Intuition store and found out that they were no longer in business, but they still owned the domain so I decided to add “LA” because my store is very much Los Angeles. I love the name Intuition, because I believe in the power of following your intuition. I am a person of faith who believes God gives us intuition. My store is a lifestyle boutique. We now have clothing, shoes, lingerie, accessories, jewelry, hosiery, and other items for women such as hats and purses. Eventually we will be a full-fledged department store with men’s and children’s items. We also have home products such as candles. We help people start their own candle line. Our goal is to buy candles from them wholesale. We will open our first candle store in November in Atlanta. We are looking to have 10 stores. What inspired you to start Intuition.LA? I come from inner city Los Angeles where there was no good shopping south of I-10. If you wanted luxury you had to go north of the 10. I wanted to create something nice that you didn’t have to go broke to purchase. I wanted to provide people with the luxury experience without the cost. I provide superior customer service and good quality products without the price tag. We have beautiful items for less than $100. How did your career in fashion and retail begin? When I went to fashion college most people were studying to become designers. I took a different route and majored in fashion marketing. I wanted to learn everything there was to know about retail, because I felt I could do some things better. I worked with everybody from Target to Gucci so I know the retail world well. I also wanted to be my own boss and be a part of the fashion world. What is your greatest style influence? I would say Tracee Ellis Ross because she is high end with a mix of urban. She will wear an Hermes bag with Jordans and bamboo earrings. That is very much me, I am that girl. I am very ghetto chic. I will wear a tutu skirt with a Compton t-shirt. My style is all over the place. I also love Patricia Field who was the costume designer forSex in the City. Where do you see Intuition.LA in 5 years? I plan on having 50 stores and 5 all unit stores. We are all separate right now. As we grow in the next year we will have a total of 10 stores. Why is it so important to create a space for women owned retail businesses? When I started my business, I had little help. Women of color are the biggest group starting businesses, but we are the last to get financing and support. I feel like I have to give back to change that. What I try to do is motivate women to create streams of revenue like with our candles and our pop up shops. I started my business with $500 and now I have 3 full stores in the mall and 6 streams of revenue. I want to teach women business owners to create their own opportunities so they don’t have to depend on anybody. You have to create your own power, make sure your money flow is good. I want to show them ways to do that and take control of their own destiny. My store is in the Las Vegas Fashion Show Mall. I am one of the only African American women in the mall. It is a huge accomplishment. How has your role as an entrepreneur impacted your role as a mom? In some ways, I am very much a different mom. A lot of my friends who are entrepreneurs and moms are having a very hard time separating. They feel like they are moms first. My dream as a child was always to be an entrepreneur so I don’t have any guilt for working. In order for my son to have the life he wants and needs I have to work. I have a really good co-parent. He is able to be more hands on than I am which works for us. Being a mom and an entrepreneur you have to find that balance so that you can sleep at night. My son is a happy and well adjusted child so we are good. I have to take the good with the bad. Do what feels good and what works for your family. We have those times when we can bond and those times when I have to work. To learn more about Alexandria and Intuition.LA visit https://intuition.la.